My new favorite cooking “toy” is my Anova Sous Vide machine…it’s the ultimate Really Cool Kitchen Tool. Everything I’ve made so far (steak, chicken and pork) has come out perfectly every time with restaurant quality results…it’s kinda idiot-proof! All you do is just attach the machine to any pot, add water and click start, put whatever you want to cook in a sealable bag (any ziplock-type bag will do), remove the air, drop it in the water and set the timer! You can also use the free wirelessly Bluetooth connected Anova Culinary app on your phone to find your recipe and cooking settings for exactly how you like it done, and just hit the “Start” button and the Anova goes to work. 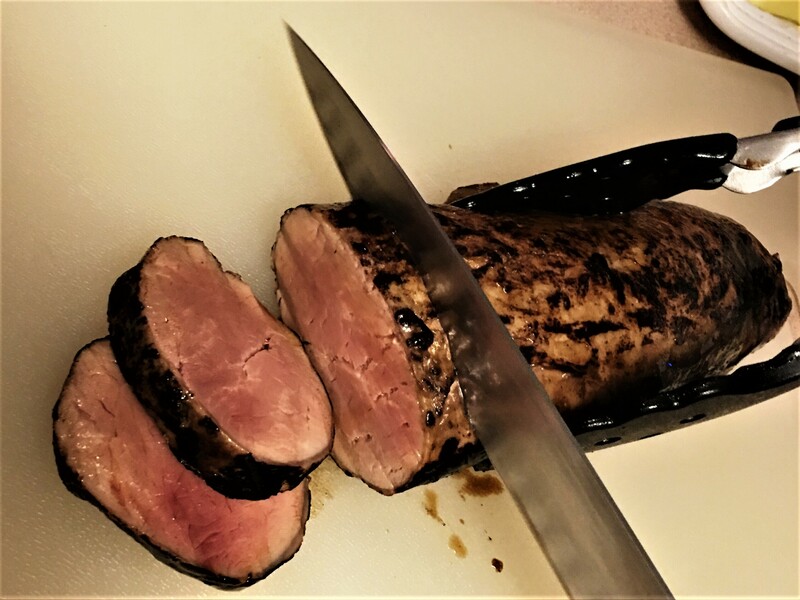 Shown here is my Sous Vide pork tenderloin. I just marinated it in teriyaki for a few hours, placed it in the Sous Vide bath and after an hour at 136°, I removed it and seared it on all sides for 2 minutes in a screaming hot cast iron pan. It was tender, perfectly cooked from end-to-end and incredibly tasty. I know this sounds like a gushing paid-for review, but it’s really not…I just love it that much. Tip of the Day – Vacuum Seal your Food for (practically) FREE! The Official Cookhacker T-Shirt is Here!